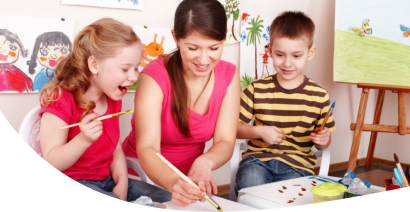 At Fior Daycare, we offer our Preschool Program specifically designed to help your child prepare for further education. This program is composed of activities, classroom lessons, and other helpful activities that can promote the expansion of your child’s knowledge and skills. Our Preschool Program includes activities and lessons like music and movement, science, math, arts and crafts, dramatic play, emotional and social development, and other developmentally-appropriate programs. We want to provide your child with the education and care that they deserve at this particular point of their development. Learn more about our Preschool Program by calling 917-667-5684. You may also Set An Appointment now to meet with one of our representatives or you can proceed to our Enrollment page should you want to register your child in our program now.